time for some garma garam homemade samosas! For me, food is an integral way of staying connected with my culture, no matter in which part of the world I am. And whenever I am entertaining, I have to have an Indian menu! One of the world famous snacks of India is the samosa. Last weekend we were hosting some friends and they explicitly asked for samosas! In India no matter where you live, some shop just 10 mins away would be selling hot samosas and jalebis and all kinds of local street food. But in Angola, we are far from that luxury. It’s true, necessity is the mother of all experiments. I just needed to learn how to make samosas at home, right from the beginning. I was so happy when I finally nailed the recipe for the perfect samosa dough and pastry! I made a paneer and potato filling but frankly speaking, a samosa is a playground for a cook. 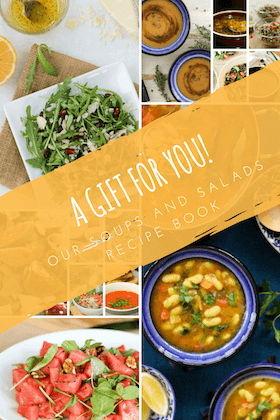 You can even fill it with chocolate and turn it into a dessert! I love experimenting in the kitchen! 🙂 At the end I had made these beautiful little paneer and potato samosas that I was almost literally patting my own back! I know a lot of ladies make samosas at home, but for me it was a feat! Note: I made the filling before I thought of doing a step-by-step photos for this one. 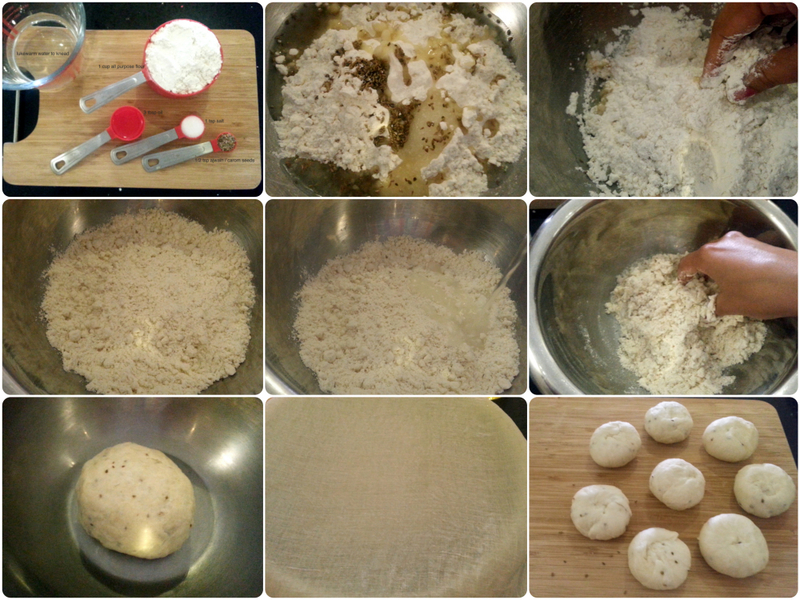 So I only have step by step photos for the samosa dough. The important thing, as I said before, is that the filling can be anything you like.. Just experiment! In a bowl mix together flour, carom seeds, salt and oil. Mix them with the tips of your fingers such that the oil is well incorporated in the flour and there are no large lumps. Now slowly add lukewarm water, little by little and knead into a firm dough. Cover it with a damp muslin cloth (or a tea towel) and leave it to stand for 15-20 mins. For the filling; combine together all the ingredients for the filling in a bowl and mix well. Once the dough has been standing for 15 minutes, knead it a little more and divide into 8 equal portions. Dust a little flour on your rolling surface. Take one ball and roll it out into a circle of about 6 inch in diameter. Cut into half. With your finger apply a little water along half the straight edge (diameter side). Fold into half to make a cone. Press together the edges firmly with your fingers. Hold in cone in your palms and fill it with the paneer and potato stuffing. While filling remember less is more. You need to just fill it up to 3/4th. Now apply water to one of the inside round edges and press the two together to close the samosa. Last step- with a fork (or back of a spoon) press at the round edge to seal it firmly. Heat oil in a kadhai. 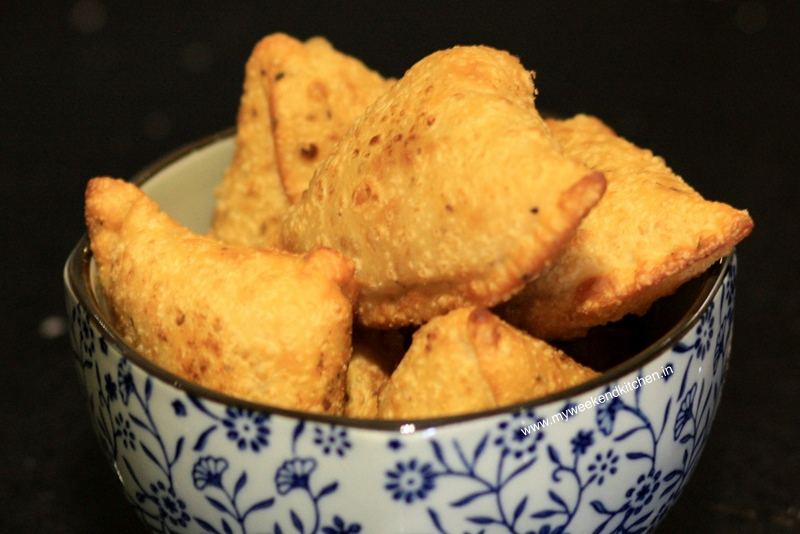 Deep fry samosas till they are crisp and golden brown. The oil should be medium hot and not be smoking hot else the outside will burn quickly without the inside of the samosa heating up. Drain onto an absorbent paper and serve hot with some lime wedges and green chutney. Sorry for the late response. Had no internet connection for about a month. The important thing about making samosa pastry or any for that matter any pastry dough is that you use lukewarm water and not cold and knead it for atlas 10 -15 mins. 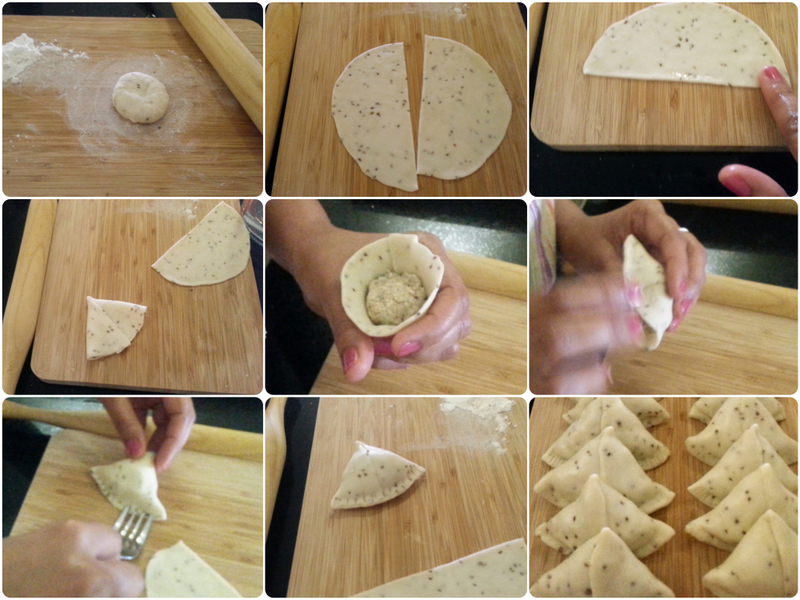 I have explained the method to prepare samosa pastry in the post along with step by step photos. Is there any particular step you are not clear about? Yes Dani, Just brush with oil lightly and bake at 200ºC for about 15-20 mins. You will need to turn in between to ensure even cooking.